Last week the House of Representatives passed the American Health Care Act (AHCA). Although at this point it is just a bill and not the law, the House bill provides insights into what the future may hold for employer plans. The House bill was passed using the budget reconciliation process, which limits debate in the Senate and allows for enactment with a simple majority of Senators rather than the usual 60-vote threshold. Budget reconciliation improves the odds (but does not guarantee) passage of the AHCA by the Senate. In a nutshell, provisions of the Affordable Care Act (ACA) that directly impact the federal budget are repealed or amended by the AHCA. Other features of the ACA, namely the benefit coverage and employer reporting requirements, are left unchanged. Below are the highlights of the House bill as it impacts employer-sponsored benefit plans. 1. Employer and Individual Mandates Repealed. The ACA employer play or pay mandate is repealed retroactive to January 1, 2016, by reducing the tax imposed on employers to zero. The individual mandate also is repealed. 2. Modified Continuous Coverage Requirement for Pre-Existing Conditions. In lieu of the individual mandate, the House bill penalizes individuals who incur a 63-day break in continuous coverage by allowing employer plans to assess a 30% enrollment surcharge above the regular premium for one year. In short, the AHCA adopts the concept of the old “portability” rule from the Health Insurance Portability and Affordability Act of 1996 (HIPAA), but with one important difference. Under the old HIPAA portability rule, coverage of a pre-existing condition could be excluded for up to 12/18 months, depending on the individual’s prior creditable coverage and when the individual enrolled in the plan. Under the AHCA, a pre-existing condition must be covered, but at a higher premium cost for the first year of enrollment. This new rule also applies to the individual policy insurance market. For employer plans, this provision means a return to tracking the creditable coverage of plan participants and issuing creditable coverage certificates. 3. Cafeteria Plan Changes. The AHCA reinstates unlimited health care FSA contributions by repealing the $2,500 (as adjusted) limit on health care FSA contributions starting in 2018. Reimbursements for over-the-counter medications without a prescription also are permitted beginning in 2018. 4. Health Savings Account Changes. The HSA contribution limits are increased effective in 2018 so that the limits are equal to the out of pocket maximums that apply to HSAs (currently $6,550 for self-only coverage and $13,100 for family coverage). Expenses incurred up to 60 days before the account is established may be reimbursed and both spouses can make HSA catch-up contributions to the same HSA. Beginning in 2018, the penalty for non-health expense distributions from an HSA is reduced from 20% to 10% and reimbursements for over-the-counter medications without a prescription are permitted. 5. Elimination of Additional Medicare Tax. The ACA added an additional 0.9% tax on wages above certain thresholds to fund Medicare. This additional tax is repealed beginning in 2018. 6. Cadillac Tax Delayed. The AHCA delays application of the Cadillac tax on employer plans from 2020 to 2025, but does not repeal the tax. 7. Tax Credits Applicable to COBRA Premiums. The AHCA replaces purely income-based premium assistance tax credits with age-based tax credits that range from $2,000 to $4,000 per individual per year (with a maximum of $14,000 for a family). The AHCA tax credits phase out for incomes over $75,000 per year ($150,000 for married filing jointly). Unlike under the ACA, the AHCA tax credits can be used for COBRA coverage. 8. Essential Health Benefits Waivers for Small Employer Insured Plans. The AHCA allows individual states to seek a waiver of the ACA requirement that small employer insured plans must cover ten essential health benefits. Such a waiver would reduce the number of essential health benefits required to be covered by small employer insured plans, with a corresponding decrease in costs. Large employer insured plans and all self-insured plans already have some flexibility regarding the coverage of essential health benefits. 10. Reporting Requirements Unchanged. The AHCA does not change the Form 1094/1095 employer reporting requirements of the ACA. However, regulatory requirements for reporting are likely to be greatly simplified if the employer and individual mandates are repealed. 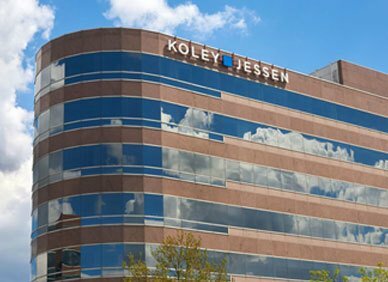 The Labor Employment and Benefits attorneys of Koley Jessen are closely monitoring the AHCA as it moves through the legislative process. New legal requirements are likely to give our clients greater flexibility and more options in providing health insurance coverage to their employees. We would welcome the opportunity to work with your plan’s insurer or service provider to analyze and successfully implement plan amendments designed to take advantage of any future changes in the law.